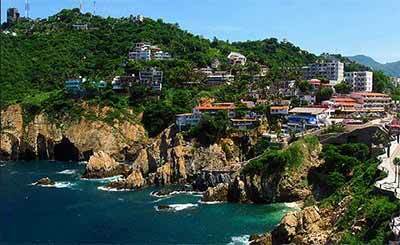 Known for its naturally beautiful beaches, Acapulco is the biggest tourist resort in Mexico. Its location in the Pacific coast of Mexico makes its year-round tropical climate perfect in all kinds of activities day and night. It has this rare mixture of golden beaches, the Sierra Madre Mountains, tropical jungles and lagoons as well as the Mexican warmth. It also boasts of its culture and tradition, not to mention its mysticism which perfectly blended in to form and give you a unique experience that could last a lifetime. Surely, discovering more about Acapulco will bring you to an awe-inspiring experience especially when you get to know the fun facts about Acapulco and how it has become one of the best cities in Mexico. The city is one of Mexico’s oldest beach resorts that has started to gain its name during 1940s through the 1960s as a getaway for famous hollywood celebrities, royalties and millionaires from all over the world. Given this, tourism is the main economic activity of the city which mostly centered in Acapulco Bay. With the history that they have, we will be amazed of how it actually came to be one of the best cities in Mexico. Due to it, Acapulco has such a unique and interesting culture and traditions that you must know about. Acapulco is also known to be an upbeat city. It has colorful, loud and active nightlife. This is due to the outgoing Mexican people who love dancing and delight in good music. Acapulco actually offers you a range of sunbathing-lazy-moments by the beach to a rhythmic and fun evening until dawn. Because of its year-round beach-day climate, you can enjoy the outdoors most of the time without having to worry about getting cold. 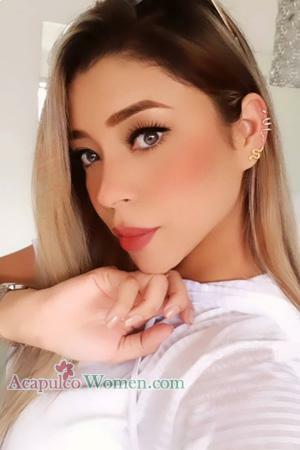 We already know how picturesque Acapulco can be and how their beaches are to die for; however, what makes Acapulco an even greater tourist destination besides its city aesthetics is the people inhabiting there. Tourists love coming back to Acapulco not just because of the beauty of the city, but because of the genuine and warm welcome that they receive from the Mexicans living there. They basically know how to make you feel at home even if you are an alien to the place. See for yourself how beautiful Acapulco is in its ways. From its fiery sunsets to its astonishing golden beaches, Acapulco has such a beauty to brag of. Its aesthetics may be comparable to other cities and countries, but it has its own Mexican characteristic in it. Every tourist destination that you see around the city does not just come about for nothing. As the say, everything happens for a reason and some of these destinations and attractions have historical significance in them---the kind which are authentic and amazing in their ways. An example of the architectural and historical beauty the city has is the Fuerte de San Diego. This fortress was built to keep the attackers out of the city and protect both what is inside and what comes inside it. It may have been destroyed due to certain circumstances, yet it still remained standing until now due to the importance of its role during the course of time. 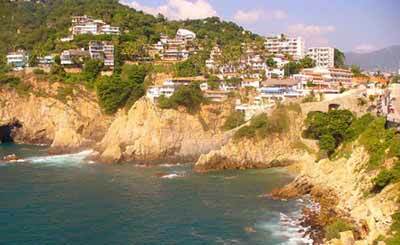 Another fact about Acapulco is the means on how it has stayed beautiful---the Isla La Roqueta. The main point of diving in the waters of this island is the sunken statue of the Virgin Mary or the Virgen de los Mares. This shows how devoted Mexicans are when it comes to their religion, Catholicism. Moreover, its culture remains untrampled; however, it has been modified through time. This way, you will see how the Mexican culture has beautifully transcended to fit in the modern-day setting. We can all see how the city was able to cope up with the fast pacing of time. The city may have been affected by how the world has grown and developed into a modernized and technology-based system; however, Acapulco remained in its beauty. It remained to have its culture preserved and their traditions are still practiced up to this time. They still give honor to what their ancestors have passed down to them. In all senses, the beauty of the city does not just come from its physical structure or how successful its economy is. It is neither entirely about how it has coped up with the advancement of almost everything. The true beauty of Acapulco lies on the characteristics that the city has lived by through centuries and even amidst its attackers and colonizers. What is amazing about Acapulco? What makes it beautiful beyond the norm-based definition of beauty is what’s within it. It is with how it had stood tall and proud amidst the negative criticisms and the slowly falling glory due to idiocy of some. That is the beauty of a Mexican city, hence, sign up now and get to experience it firsthand!